A rare treasure for New Thought readers! Coming into his own as a profound spiritual thinker, Fenwicke Holmes, the brother of Science of Mind founder Ernest Holmes, teaches the one simple law of mind that anyone can understand and use, and which, if used, will give freedom, joy, health, supply and peace to the one who uses it. 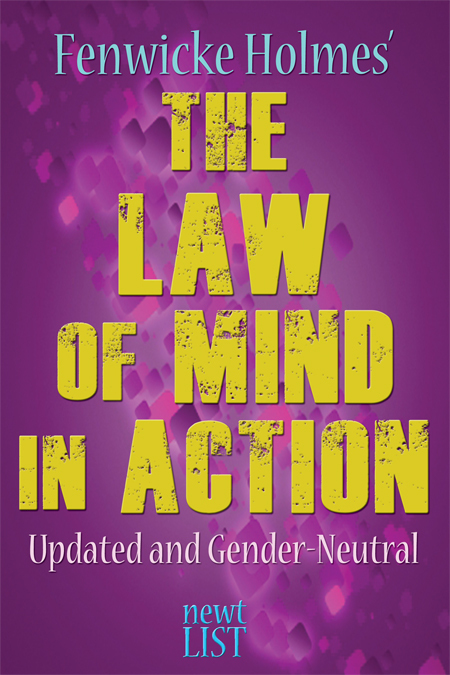 Written at the same time his brother Ernest was penning the spiritual classic Creative Mind, The Law of Mind in Action rightly takes its place as one of the foundational works in the Science of Mind canon of New Thought ideas.